Patients who attend Intensive Outpatient Program (IOP) group sessions will attend either morning, afternoon or evening groups. The groups are four three-hour sessions each week. IOP sessions focus on, but are not limited to, developing healthy coping skills, anger management, relapse prevention education, identification of defense mechanisms and core beliefs, identifying and coping with triggers, and the development of motivation, social and cognitive skills to develop a sober support system. As patients progress through treatment, services are focused on continued engagement and assessment of the stages of change. Evidence-based practices include patient-centered, cognitive behavioral, motivational and problem solving strategies. Self-directed treatment plan goals, focused on the individual’s specific areas of need, are developed for each patient. 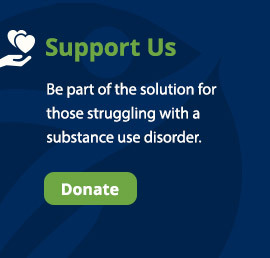 Individualized treatment planning that targets specific needs such as food, clothing, housing, transportation, medical care, mental health care, employment, and education, incentivizes patients to remain in needed treatment, assists in retaining patients in treatment, thereby reducing substance use and increasing their chances of continuing their recovery. The therapeutic environment assist patients with how they relate to their surroundings, improving their recovery skills, relapse prevention skills, and emotional coping skills, thereby increasing the patients’ self-worth. Patients have the opportunity to develop and practice their interpersonal skills, strengthen their recovery skills, reintegrate into the community and family and begin or resume employment or academic pursuits. Patients who stabilize and meet criteria for stepped down services can be placed in outpatient services and recovery or transitional housing services. Wells House strives to ensure continuity of step down services for all patients served.